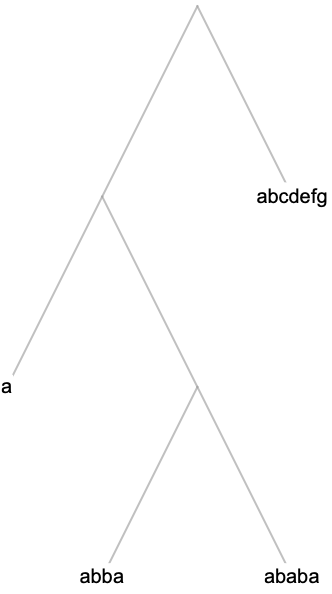 constructs a weighted tree from the hierarchical clustering of the elements e1, e2, …. 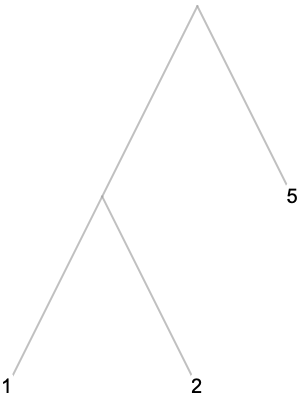 represents ei with vi in the constructed graph. 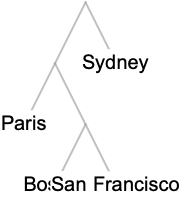 represents ei using labels labeli in the constructed graph. 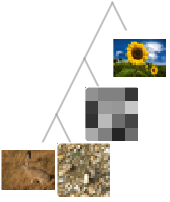 constructs a weighted tree from the hierarchical clustering of data by joining subclusters at distance less than h.
The data elements ei can be numbers; numeric lists, matrices, or tensors; lists of Boolean elements; strings or images; geo positions or geographical entities; colors; as well as combinations of these. 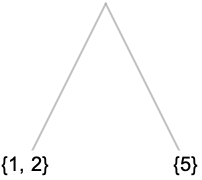 If the ei are lists, matrices, or tensors, each must have the same dimensions. By default, ClusteringTree will preprocess the data automatically unless either a DistanceFunction or a FeatureExtractor is specified.